2017 EU reissue on standard LP-The music for David Lynch's 1992 film Fire Walk With Me is an altogether more brooding affair than the Twin Peaks series soundtrack. Angelo Badalamenti, who also composed and conducted the music for the series, won a Grammy for the title track of this LP and it isn't hard to hear why - it's dangerous and bursting with smokey jazz thanks to vocalist Jimmy Scott. Death Waltz Recording Co. went back to the master tapes in the Warner Archives and had it recut to fit across two LPs as the score clocks in at 51 minutes. It sounds incredible and punchy, but super nuanced too. From the brooding opening bars of the main "Fire Walk With Me Theme," Badalamenti's gorgeous, eerie score introduces us to a cinematic experience which significantly begins with the smashing of a television screen. Just as the "Main Title" from Blue Velvet echoed the Hitchcockian hues of Bernard Herrmann, so here we have just the slightest touch of Taxi Driver, as Jim Hynes' plaintive, keening trumpet soars above a landscape of melancholy keyboards, drawing us into a world which is at once alien and familiar. NME placed Twin Peaks: Fire Walk with Me's score at No. 1 on their list of the '50 Best Film Soundtracks Ever', describing it as, "combining plangent beauty with a kind of clanking evil jazz, this is one of those endlessly evocative soundtracks that takes up residence in your subconscious and never leaves." 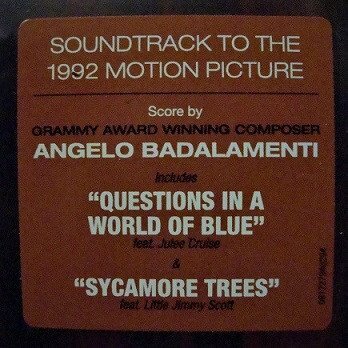 Composer Angelo Badalamenti, who wrote the music for the television series for which this movie served as a "prequel," presents another low-key score mixing after-midnight jazz with ambient sounds, never taken at more than a medium tempo. The mood is dark and languid, appropriate to the unusual tone of the TV show and movie. 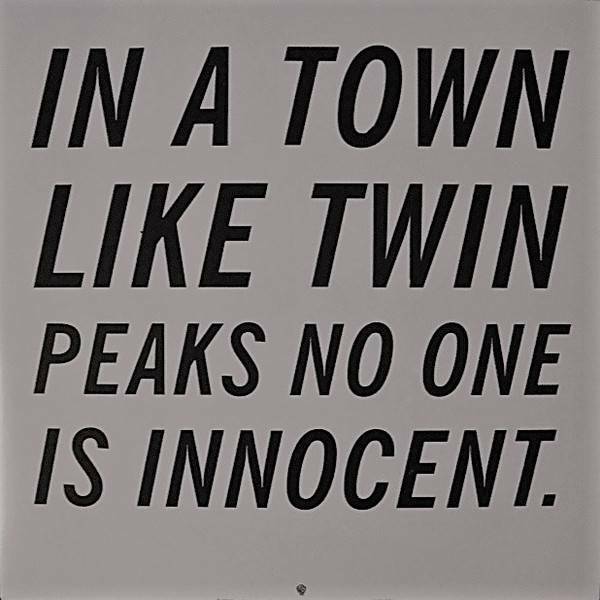 Jimmy Scott and Julee Cruise contribute eerie vocals to songs with lyrics by director David Lynch.